Fill ‘em up! It’s that easy to create a phyllo mouthparty. Light, flaky layers of dough are formed into mini pastry cups, then fully baked and frozen fresh. 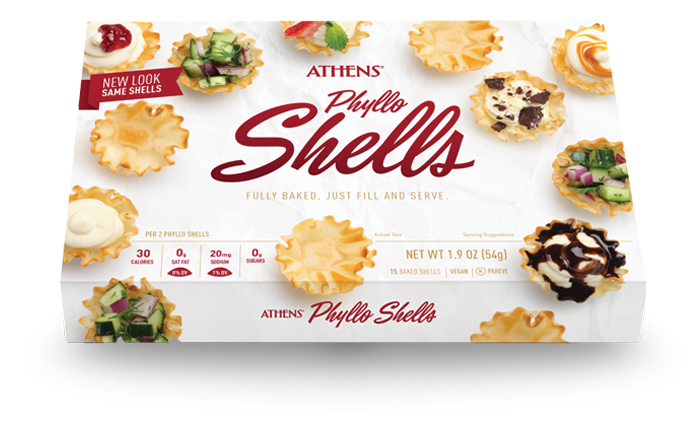 Fast, versatile and easy to use, Athens Phyllo Shells are ready to fill with sweet or savory ingredients — try hummus, pimento cheese, pudding, dips, or fresh fruit — the possibilities are limitless. Even better? These tasty pastry shells contain no trans fat. Enriched Wheat Flour (wheat flour, niacin, iron, thiamin mononitrate, riboflavin, folic acid), Water, Corn Starch, Canola Oil (canola oil, rosemary extract, ascorbic acid [antioxidant]), Contains less than 2% of each of the following: Vital Wheat Gluten, Salt, Preservatives (calcium propionate, potassium sorbate), Cultured Wheat Flour, Salt. For optimal freshness, freeze until ready to use. Store frozen or at room temperature. Add hot or cold fillings. Place empty shells on baking tray and bake 3-5 minutes. Allow shells to cool before filling. Ovens vary; cooking time may need to be adjusted. Fill shells, place on baking tray and bake until filling is hot, about 10 minutes. Serve. 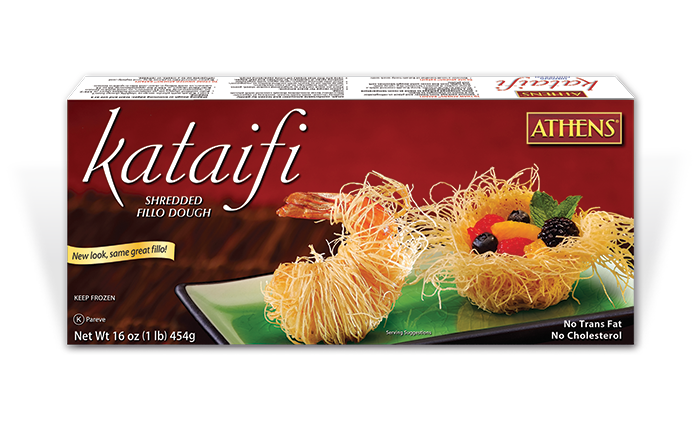 Put a new twist on traditional phyllo. Form shredded phyllo dough, or Kataifi, into cones, shells or nests, or layer it in traditional dishes like baklava for a unique texture. The flaky, layered sheets of tissue-thin pastry are best known for use in traditional Greek and Mediterranean dishes such as baklava, spanakopita and apple strudel. 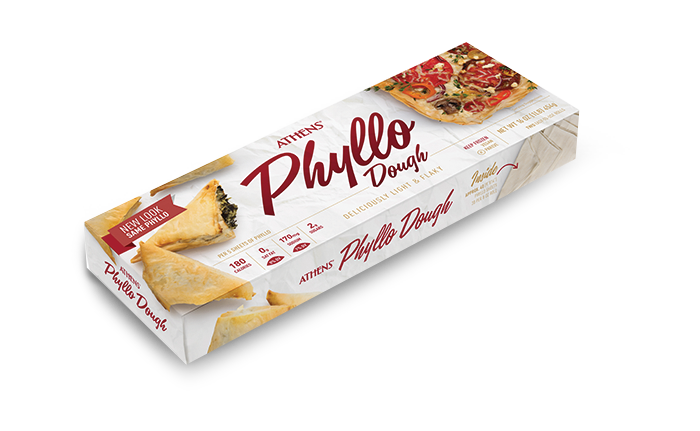 The light, crispy texture of phyllo adds a sophisticated elegance to almost any dish– from appetizers and snacks to main dishes and desserts.